Finding the right person to spend your life with requires that you let go of many other people you meet along the way. Some dating coaches say dating is all a numbers game. You date enough people, and eventually you will find a mutually satisfying click. There is certainly some truth to this concept. The problem is, our emotions do not let go of people as easily as our logical reasoning does. The plain truth of the matter is this. Letting go hurts. I’m not telling you to hang on to a man who’s not right for you. I’m just acknowledging the truth. It takes something out of you each time you have to release the attachment you feel toward another human being, even if you don’t want to spend the rest of your life with that person. As a relationship consultant and dating coach, I spend a good amount of time motivating my clients to get out there and take action on the dating scene. As you can imagine, my clients are not always raring to go right after letting go of a person. I have carefully observed the mindsets that seem to allow some people to let go more quickly (and with less pain) compared with others. Here’s what I have discovered. There is less pain when a woman focuses her mind on survival. Now allow me to explain that by defining the opposite approach. The opposite of focusing on survival is focusing on what is lost or what could have been. It’s a terrible thing, but poachers in some parts of Africa use a special kind of trap to capture monkeys. They attach a jar to a heavy stone and bury the stone so only the jar shows on the surface of the ground. Inside the jar they put a piece of banana or other fruit. Then they stand back at a distance that makes the monkeys comfortable enough to climb down from the tree to retrieve the fruit. As the monkey closes its fist around the fruit, the hunter charges forward with his spear. The monkey attempts a quick getaway, but the closed fist is unable to emerge from the jar. Only an open hand can fit through the narrow opening at the top of the jar. Refusing to let go of its prize, the monkey hesitates just long enough to allow the hunter to gain the proximity needed for a quick thrust of his spear. Don’t be like the monkey. Do not be afraid to let go of the prize you have found in a man’s heart. Holding on too long gets in the way of survival mode. Focusing on survival means doing what you know you have to do, rather than looking back and lamenting what you have lost. It results in a quicker turnaround for one specific reason. In survival mode, people put one foot in front of the other even if emotions do not drive those actions. Taking action brings her face to face with new people, real people with real needs, real hopes, and a real desire to get to know her. The unfolding demands of real human interaction capture the attention of the mind, allowing the focus of thought to grow toward life, toward new relationships. In contrast, rumination about what could have been feels right, but takes much longer. Your instincts tell you to spend some time mourning the loss of the good things from the previous relationship. Your instincts may even tell you to socially isolate yourself for a while. Don’t do it. Don’t hold on to the fruit at the bottom of the jar when you know it is healthier to move on toward a forest with fruit hanging from the trees. It’s this forward-looking quality of thought that seems to bring the best outcomes with the least amount of pain. Need some help knowing how to move forward and achieve success with dating? 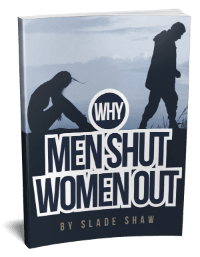 If so, check out my guide to finding, attracting, and keeping a man worthy of your heart. This entry was posted in Self Help, Self Improvement and tagged letting go, moving on by James Bauer. Bookmark the permalink. Dear James, it has been a while I felt like letting you know how heartwarming your words of advice are. You are so charming, poetic, compassionate, understanding. I can literally feel your helpfulness and good intentions overflow whenever I read your articles and messages, and I want to assure you that they are all the way through. There’s no girl who wouldn’t feel safe and understood with you. Today, I just wanted to pass by to tell you: you are lovely and wonderful. Keep up your unique way, stay just as you are. Lots of warm wishes. Thank you, Sakura. Those words warmed my heart, and I am very thankful to have a person like you reading my articles. A whole lot of people in this thread are involved in narcissistic relationships. Google your partner’s behaviors or go to youtube and free yourselves from these toxic relationships. No amount of advice can help you if your partner is a narcissist. Ladies I hate to say it, but just recently telling off the man I’d been dating for 3 years and fell hard for. 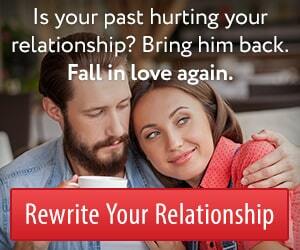 I’d like to save you the grief and realisation by suggesting to walk away and remove reminders of him from your life. These boys chased us longer than they thought they would. So finally catching the grand prizes we are. The challenge was over. However they keep reappearing to check if either 1. They still can have you no matter how crappy they were. 2. Confirming they did right by themselves since we didn’t measure up to their expectations after they invested so much in the chase. 3. They keep coming back simply because we let them. Maybe we like to chase too. Doesnt really matter the reasons because the situation won’t change to our favors. I just hope you accept the truth that we try to ignore and save the wasted years I lost to someone who told me he loved me. His actions repeatedly warned me otherwise. Good luck. This is an old feed,but hopefully this post will get answered. I started seeing a guy that i had known for quite awhile, he witnessed me go through a rough time in my life(sparing the details). I refused to get involved with him for quite awhile because I knew I wasn’t in a good place emotionally, after a year I finally gave into him and started seeing him. Almost immediately started ghosting and acting the complete flip side of how he was. I’ve tried takes to him and even bro g cross with him, We stop talking for awhile and right when I get to the point where I’m really ready to give up he contacts me again. How do I end this cycle? I’ve looked at my faults in this and have apologized, but not 1 time has ever apologized for how he’s made me feel. What do I do? Hey. I can see why you are frustrated. You have a right to be. This Irresistible Insider Report may be of use to you. It’s a free download if you’re a member. I blew it up by dating a married man. things were going well when we started but now he has started to ignore me, after reading all the comments I feel its time to let go and start all over again, Thank you. My situation is a little similar to Korey and I was hoping you would reply. I met John (a pseudonym) on online dating almost a year ago. He lived in Florida and I live in New York. He told me he got divorce two years ago and that he was being cautious because he didnt want to get hurt. I understood, i was going through something similar. He used to text me all day long for the first couple of months, but would hardly text after 4:00pm. I asked him why and he would tell me because of work, overtime or school. When we finally became intimate, it was the most beautiful experience I had had, something very special really transpired between us. He has never been a person who likes to talk on the phone, so our communication was mostly through texts. He has never been with a hispanic woman before. We are very passionate, loving, and when we fall in love, we love deep and hard and we like to show it. His texts messages started coming very seldomly. He told me that I was becoming too overbearing and he didn’t know how to handle me. Something told me it was more. He was waiting on a transfer to work in New York and I was so excited because we were going to be closer. He did get the transfer not to New York but to Canada instead. We have only seen each other a few times, text every other or every few weeks. He doesnt open up or tell me what he feels, but when we see each other, is wonderful and the chemistry is exceptional. He’s only an hour and a half away, but will only come to see me every two months. Every time I feel I’m moving on, he shows up back in my life and I’m back to square one. He finally invited me to his place but at this moment and for the next couple of months I won’t be able to go to Canada. I told him that but he doesn’t want to come to the US. I love this man, but I don’t know if I want a part time lover or someone that can not compromise in some type of way. I’m tired of giving, giving and getting nothing in return. Aurea, do you want to give him one more chance to go after you? If so, you need to find a gentle way to tell him the story you just relayed here. Otherwise, he doesn’t know he’s about to lose you. And therefore, he may miss his last opportunity to build something more significant with you. I’ll be honest, it sounds like the two of you want different things right now. So it probably won’t work. But if you’re going to lose him anyway, you might as well give him one last chance. This way, you can be sure it was the right decision to leave him. Be very specific with him about what he would need to do if he wants to keep you in his life. we are together, but I am the one who initiates us getting together, and the reaching out, etc. the We started off great he would call and text and spend time with each other, however, his phone calls or texts don’t come as often anymore, but we still keep in contact. He tells me he is now becoming more open to a relationship now that he has reached his goal, but I notice that he doesn’t put forth effort with me anymore. It seems more sexual now, but our energy is crazy good. Better than I’ve ever experienced in my life. When together we talk a lot and very open, never judgemental. I can tell by the way he holds me, and kisses me that the feelings are definitely mutual, but something is holding him back. I know I should be focusing on getting myself together, but I have never been so sure of my feelings before. I have been getting myself together and beat some of my obstacles, but when I ask him if he is seriously thinking about moving to the next level, and his reply was “get yourself together” and that’s all I got. What do I do with that? Because of my situation should I not even think about love? Should I move on from this situation because of my lack of things he deems necessary, or should I be patient, continue working on me and hope that he doesn’t choose another woman by the time I get myself together. Hey, Korey. Given the nature of your situation, it would be best to make this a private discussion with one of our relationship coaches via email. You can access that service here if you like. I and my ex We had long distance relationship. We were so perfect together. We had a serious relationship. We both met our parents. But then he told me he had no longer do long distance relationship. As a woman, i have nothing to say when my man said something kinda he doesn’t see me in his future..
It’s been 6 months since last time we had met. He is dating a new girl right after we broke up. But they seem not getting serious (Compared from the way he teases her). Like i told you, we were perfect together. I’ve never had a good relationship like this. We are trying to keep in touch and be friends. But it is difficult to make a conversation for now. I can’t move on yet and I don’t know what to do. Thank you that’s great advice !! My boyfriend of 16 months just broke up with me over text and will not talk to me . I’m very sad to hear that, Phalena. I agree that it’s a lousy way to break up and you deserve more consideration and an opportunity to speak with him about the sudden change in his relationship with you. Maybe he will calm down in a few days and realize it would be better to talk some things over with you. In the meantime, resist the temptation to make him the focus of all your thoughts. You are going through a very hard time right now and it is very important that you keep your mind anchored to some of the good, steady things that have not changed in your life. That means spending time with friends or family who care about you, exercising if that’s your routine, reading a good book if that’s something you enjoy. Do things to remove your focus from the emotional pain. Give yourself permission to feel sad, let out your feelings, and journal about it for short periods of time once or twice per day instead of going through marathon of grieving.